A surprising look at what may be a lunar volcano...or not. 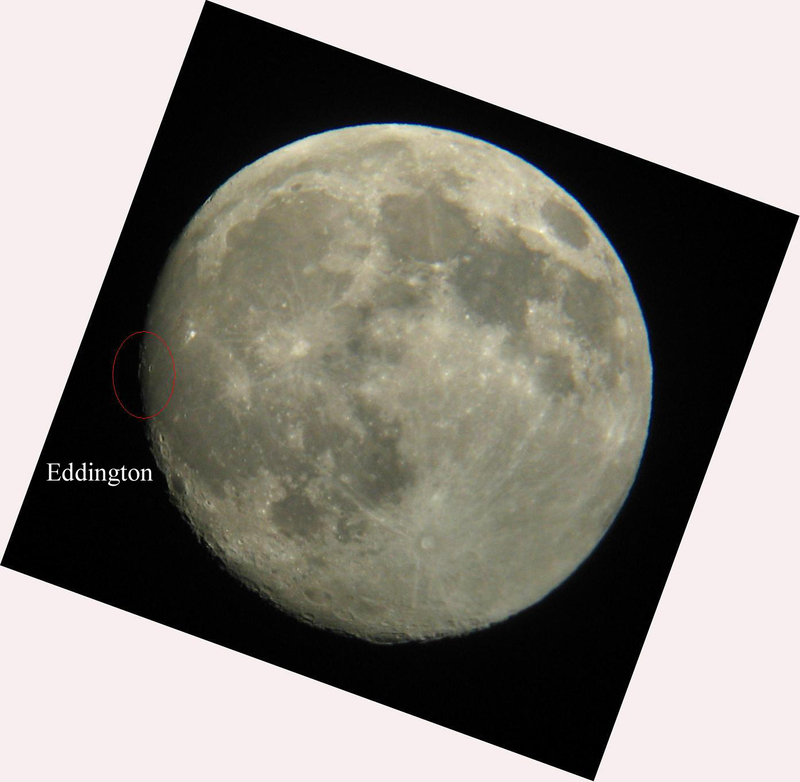 This mound – with craters positioned facelike on its top, including a central peak crater – is located along the edge of the Moon’s Eddington crater, an ancient lava-filled basin on the central western limb. Imaged by the Lunar Reconnaissance Orbiter in January, this 1.5km-wide mound may be the remnants of a volcano. Or it may not be. It’s hard to tell. One thing lunar researchers using the LRO’s image data have found is that you can’t always tell the geologic origins of a feature on the Moon by looking at it and comparing to what you know. Just because a landform like this might resemble other lunar volcanoes does not make it so…there are many processes that could result in the same types of features. Only by “getting creative” with LRO data and imaging techniques can researchers hope to come to the right conclusions. 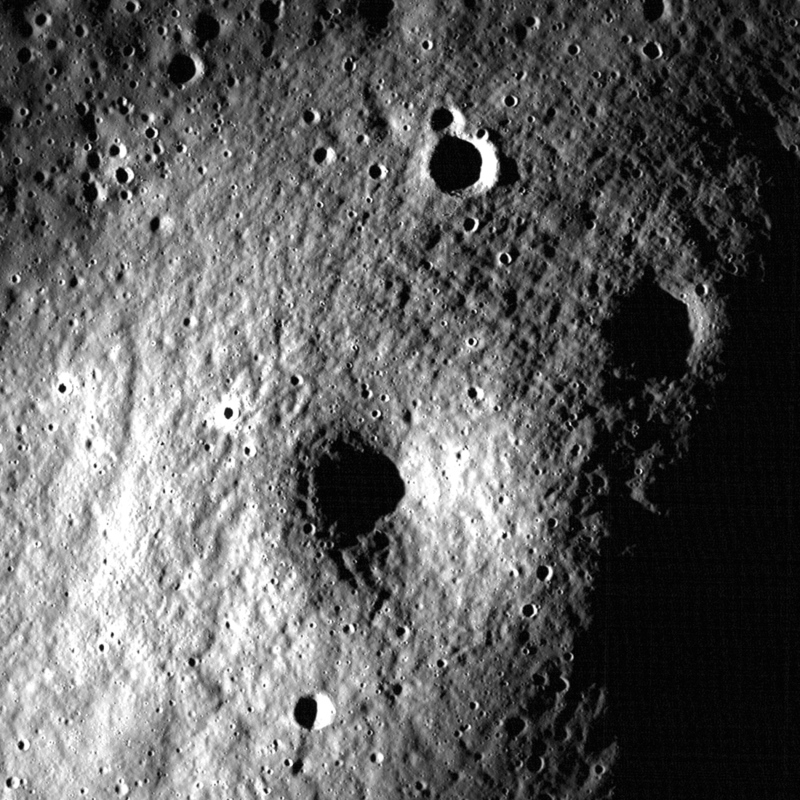 Using both the LRO’s narrow- and wide-angle-cameras can help this process a bit; while the NAC can “zoom in” on surface details, the WAC can get a better look at the surrounding region as a whole and help determine the other landforms in the area, as well as use color imaging data to see composition similarities and differences…which all help determine if a feature like this is something that was created by material welling up from within the Moon – a volcano – or the same as the surrounding material, which is more indicative of an impact event. Of course, the best way to investigate such geologic features is to study them in person and take samples of material directly…but until then, the Orbiter will have to do! Read more about this image on Arizona State University’s LROC site here, and check out the full area scan as a zoomable image!